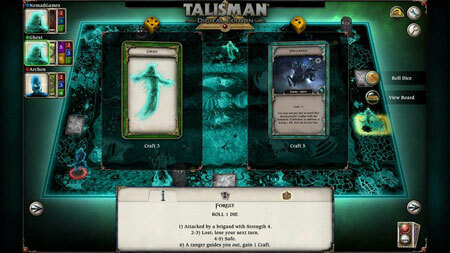 Talisman – Realm of Souls Expansion is a strategy RPG from Nomad Games. The land beyond the Veil has given birth to a powerful ruler. This King of the Dead commands the forces of the afterlife to cross the Veil to invade the land of the living. Death is no longer the end for the player, only the start of a new adventure. This expansion brings forth a brand new, digital exclusive mechanic that will allow the heroes of Talisman to traverse the lands of the dead and continue their battles for the Crown. This expansion adds 3 characters – Archon, Spectre Collector, and Clairvoyant. It also features 6 Adventure Cards, 3 Spell Cards, 70 Spirit Cards, 3 Terrain Cards, and 2 Alternative Endings. If you get stuck in the game, check out the video walkthrough and gameplay for the game. This entry was posted in PC Games, Walkthrough and tagged Talisman - Realm of Souls Expansion Cheats, Talisman - Realm of Souls Expansion Gameplay, Talisman - Realm of Souls Expansion Guide, Talisman - Realm of Souls Expansion Strategy, Talisman - Realm of Souls Expansion Walkthrough by Marvin. Bookmark the permalink.